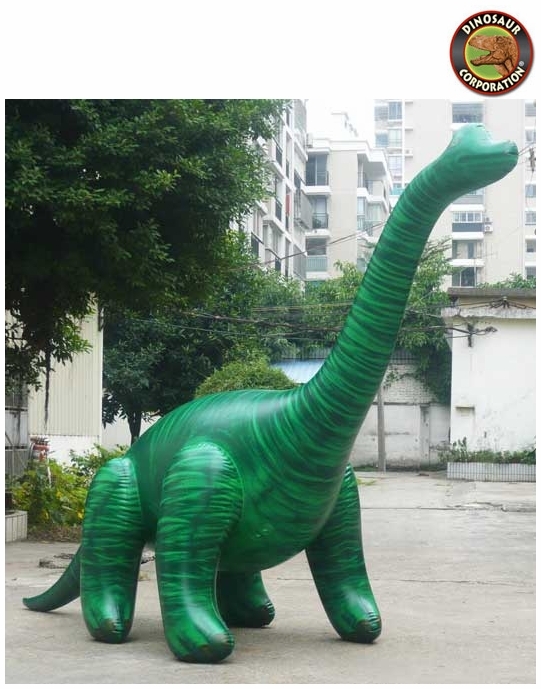 Giant Inflatable Brachiosaurus is a perfect inflatable dinosaur for outdoor activities and dinosaur party. * Size: Dinosaur giant is 118" (300cm) large from head to tail 144" (366 cm) long x 40" (102 cm) width x 78" (198 cm) high. * Made from high quality durable plastic. * Colorful, fun and decorative. ▪ Giant Inflatable T-rex Outdoor Summer Sprinkler Dinosaur, 126"
▪ Giant Inflatable Elephant Summer Sprinkler, 118"